MyDaily9: iPhone 4S Battery issue resolved. Many of the iPhone users are facing issue with there battery as its not staying longer after the installation of iOS5.Apple got a couple of complaints from majority of its users. 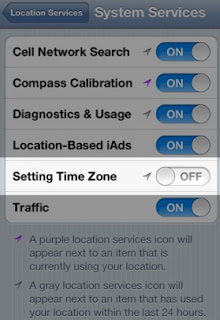 So here is the issue , iPhone has the capability of updating the time automatically by checking the zone. iOS 5 that keeps the phone pinging various location servers to update the time zone. For the it constant pinging and that drains the battery. 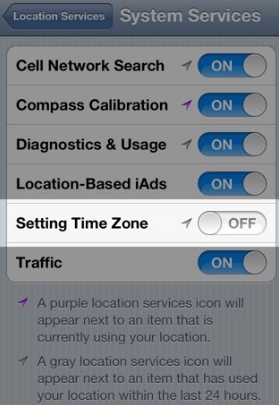 The best way to make that is the OFF that setting, turning off the “Setting Time Zone”. So that issue is resolved.